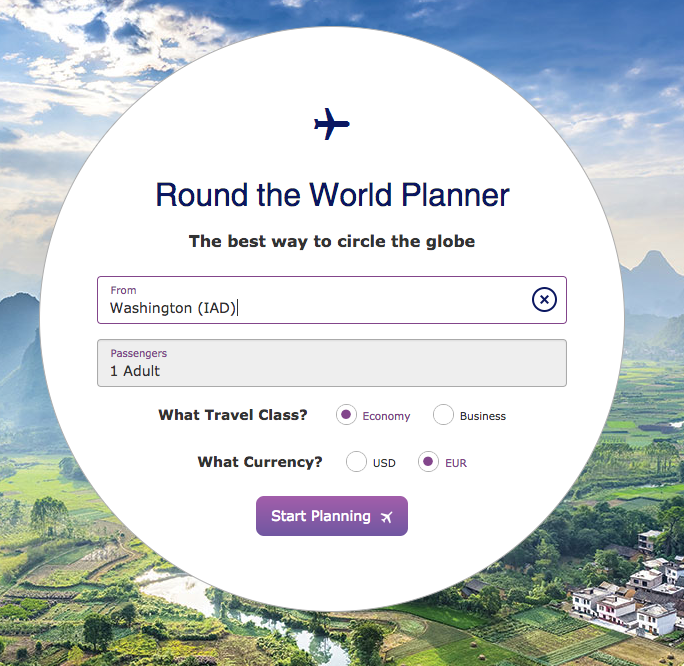 The planner advertises that you can visit more than 1,057 destinations in 179 countries and travel at your own pace. They do have some rules though: there’s a minimum of three stops and maximum of 15 and you have to make all the stops within a year. You also have to limit your mileage to 38,000, but don’t worry the computer will tell you if your plans take you over the limit. You start out by putting your departure location in the search bar. We used IAD (Dulles). Then, at least for this example, selected a rather generic route hitting London, Dubai, Beijing, Tokyo, Honolulu and Cancun. The trip would be 22,432 miles and not all the flights would be direct. The grand total ticket price would be about $3,903 per person. 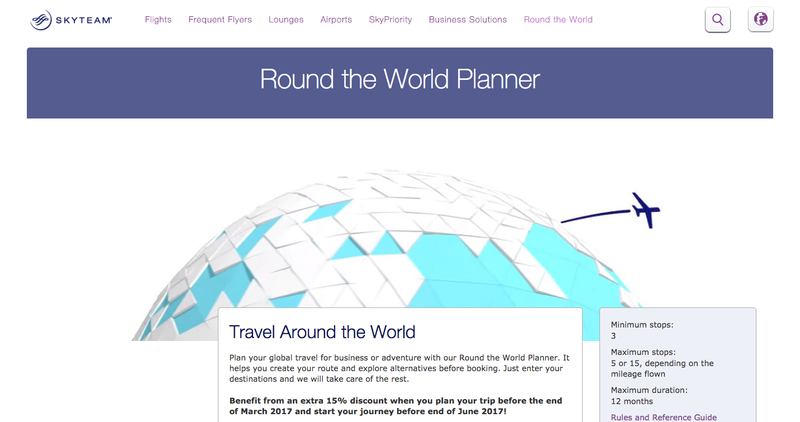 Then you choose the flight dates for each departure and then select from a list of Skyteam partners for the time and carrier. It takes some skill and searching to find the right flights and keep the original price tag. It is very easy to book a flight or two and bump up the price by several thousand dollars. The rest is the purchase of the ticket. I would spend some time rolling through a lot of options first before you decide to commit. You’ll really want to check the details on flight changes and baggage allowance since you’re using multiple air lines. Have some fun and take a look, you might find the deal of your dreams.